As Brits, we spend a lot of time talking about the weather. That is simply because Britain has weather where other places have climate. Teaching the ideas of probability, I point to the probability of tomorrow’s weather being the same as today. In China - a place with climate - that probability is high, well over 0.5; in Britain, the same probability is well below 0.5, unless, of course, you describe the weather as ‘changeable’, in which case many days are the same, changeable. On the internet, I am having ‘climate’, then. In the sense that one receives signals, my broadband access has diminished recently. Possible candidate reasons include the latest update to OS X, a change of neighbours, loss of a local DNS server, resetting the DNS server list and, of course, the ever-present work of those who build and rebuild the Great Firewall of China, GFWoC. For those that think the internet is witchcraft or magic (or both), the cause of my lack of signal is because I have run out of toothpaste. I was so sure that my access was being tapped I persuaded the lady wife (otherwise known as ‘the Boss’) to get China Unicom to come and check the line, thinking that, as so often happens, my ‘exclusive’ line has been sold several times to others in the building. That is what it feels like. The nice man who has been before (funny, he recognises the computer more than he recognises me) is adamant that the only person who can change things around in the building is himself and that he has indeed given us an exclusive line. Indeed, while he was here, download speeds were not far off the 4Mb advertised. So I wondered if I could be more precise about my problem. Yes, I can; the places I wish to download from are mostly in the USA, and for there my download speeds are at best 300kbps, 0.3Mbps. I download things to read and to watch and recently I cannot keep the pipe to the Usenet open; speeds are in single figures for kbytes/sec, mostly zero. I tried changing various settings but at best all I do is change the scaling, not any package speed. So I conclude that the restriction is outside my system. Not my fault, but my problem. The broadband pipe has been throttled. This affects what I do and can do. So I think of it as weather, which also affects what I do or can do. In China, the AQI [air quality index] is the measure that proves the most useful. In Qingdao, that translates mostly as the range of visibility, while in Beijing it means whether it is unhealthy to go outside. In Qingdao I might decide to go to the gym rather than run outside simply because of the air quality or the temperature (softie), and the same applied in Beijing, just the AQI was the limiting factor more of the time. Internet weather is a wee bit different, more akin to needing to work outside every day. I want to do things and what I can do is affected by the ‘weather’. So I have, indeed, a growing list of things-not-done, such as updating this very website, which I cannot for reasons that escape me completely. [Related sub-story: I have been unable to update the website since March, which coincides with renewing the website licence and the last OS X update. Neither may be relevant, since the UK server rejects my username and password. It also does that for family [Pete] in UK when I ask to access the site, but not for my host provider, Graham. His explanation helps me not at all; he says “I had no problem” but passing Graham’s description of what occurred to Pete doesn’t help Pete one whit. I may be able to do something about that if I were in Britain, but clearly I cannot from here. One of the symptoms is that everything is v e r y s l o w and I have the distinct impression that that slowness is causing (or helping) the rejection to occur. Of course, there may be other interferences, from incompatible setting here to interference from the GFWoC. I need a weatherman, or an umbrella. Yes, I’ve tried all sorts of things at my end. Apple users find that much is cured by ‘repair disk permissions’, which I have been doing several times a week; some things are cured by a restart (I rarely turn the computer off, so this is relevant); all my software is up to date; I have loads of spare capacity on the drive - I keep two partitions, one had 80Gb spare, the other 150Gb; I can test or compare conditions using the laptop at home and at school. Seasonal changes occur in China. There is a big exam called GaoKao at the start of June (7-9 June in 2014) and once this has happened the ‘net noticeably slows as all those 18-year olds catch up on what they perceive they have been missing, probably downloading music and games software. When there is a big Party conference, or when a ‘big potato’ comes to visit the country, there is often a clampdown on broadband speeds, as if a variable valve¹has been applied to a pipe. The GaoKao effect continues until school restarts in mid August. The last big potato to have an effect was the American Secretary of Defense²; policemen on every corner, lining a route (in China!) and internet access reduced to a trickle. Forecast: overcast continuing. Access Quality index [AQI] is high and expected to continue so. There is another reason offered for this throttling of the internet. It has been suggested to me (not by me) that there are some very senior members of the government who are very frightened at the idea of the anniversary of the 35th May. For fear of unrest³, the same folk that run the Great Wall (not the annual marathon, the firewall thing) are, I’m told, given the task each year of throttling internet access. Each year this throttling becomes more sophisticated, so for example Facebook and Google are basically turned off, VPN users find their sneaky pipeline under the Wall is squeezed and that, when they turn it off, there are consequences. For a better explanation of the 20140535 date, see essay 134. Edits done 201411, in a climate of 150Mbps. this is the internet equivalent of sunshine. The phrase ‘APEC Blue’ appeared on both our desktops 20141110, referring to the Chinese clearing the air by closing things, halving traffic, etc, and the blue sky that follows. This phrase may stick, but too often the opposite applies to the internet weather - it depends on the political climate as perceived in Beijing. The problem with the website, it turns out, is that it will tolerate only three accessors at any one time. Therefore I am left suspecting that someone has left a connection open. By far the most likely candidate is myself, the most frequent accessor of the site. However, that access is the one I can check easily. So who was it accessing the site all the rest of the time. In November of 2014 I persuaded my host to move the site and, briefly, there was just the one person accessing the site. Once published, and within two weeks, I have the same problem. So somebody is keeping a channel open all the time, somehow. I cannot understand this serves any purpose and it must, surely, be non-deliberate. The result, however, is that I shall move the site to a totally new host and must find ways to cut off long-term access of the site. 1 Valves have types: equivalent to on/off switches, dimmer switches. Particularly, gate valves, ball valves, plug valves and knife valves are on/off equivalents. A check valve is a non-return device, giving one way flow. Flow regulation and control is done with butterfly valves, needle valves, diaphragm and globe valves. There are additional types that help with pressure regulation, for pipes carrying slurry or suspensions, for abrasive liquids. If you’re interested in becoming an engineer, especially a chemical engineer, you might spend an hour looking at valve types, if only to realise how very many there are. Of special value are those with few or no moving parts and those which require copious maintenance (because then you might invent something with less maintenance). 2 Defense, [US English, noun] not Defence [UK English] not to be confused with the much more interesting defenestrate. Contrast with offense; derived terms antidefense (countering a defensive system), ecodefense = defence of the environment. British English uses the -s form only in the adjectival forms defensive and therefore the noun defensiveness. 3 A conversation I overheard last week  about this (I did not prompt the content) reported a recent conversation about what happens when the predicted unrest occurs. The expected result (as reported from senior figures such as magistrates and judges) sets the percentage of senior government that will vanish in something like a purge as 90%. Subsequent argument was whether that was high enough. I cannot, due to the internet weather, upload this until out of China. How apposite, since if conditions were different, I would not dare upload this paragraph for fear that all internet would cease, for me. I would not be the first; a friend here has now no service at all, having been a 100% VPN user ; she blames May 35th entirely, along with her ‘foreign’ habits. 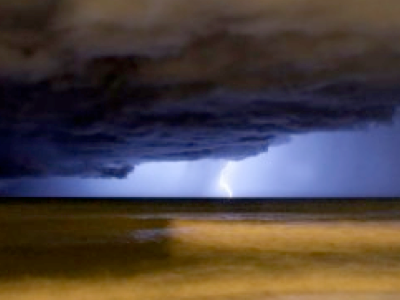 Top photo from http://www.timkainu.com/amazing-photos-of-extreme-weather/ this pic called argerich-strike_one-600x400 - a source of fine pictures. I turned several into jigsaws. You might write to me about that.